Indomitable | The online home of Chauncey DeVega: White Like Mitt Romney? I am going to let you in on a big secret. Mitt Romney is white. In certain political circles we are not allowed to talk about such an obvious thing. Conservatives and the Right-wing media also tend to get upset when the American people talk about the fact that Mitt Romney is a white man. Apparently, to do so is to commit an act of “reverse racism”—and we all know that in the Age of Obama there is no greater sin. I have a second secret that may surprise you as well: I do not care one bit if Mitt Romney is a white man. Why? Because his racial background means little in the context of the many challenges facing America in the time of the Great Recession. However, this does not mean that Mitt Romney’s particular type of whiteness is unimportant to either his political worldview or his chances of becoming the next President of the United States. Race still matters despite the “colorblind” rhetoric of the post-civil rights era: it impacts life chances, job opportunities, health care, income, and wealth. Race is also a type of common sense that helps orient people in relation to the world around them. Here, racial identity, while not as fixed as it once was because the color line has evolved over time, influences the neighborhoods in which we live, who we marry and socialize with, our country’s politics, and the types of privileges (unearned or not) that individuals enjoy in this country. Mitt Romney’s identity as a rich, white, heterosexual man is integral to his political brand. It also explains much of his appeal for conservative voters. This is especially crucial given that since the 1960s, the GOP has effectively become a de facto white political party. The Republican Party’s base consists of white “working class” men, rural and Southern white voters, those without college educations, Christian Evangelicals and Dominionists, older voters, and the rich. By contrast, the Democratic Party base consists of women, people of color, younger voters, the college educated “creative” and professional classes, as well as the working classes and poor. As political strategist Ed Rollins recently pointed out, the Republican Party is “too white,” and is facing demographic suicide because its base is both older and less diverse than that of the general public. This is especially problematic given the United States’ changing racial profile. An embrace of the politics of white racial resentment, States’ Rights, the Southern Strategy, and an obsession with a particularly narrow type of patriotism and nationalism (with all of its “real America” talk) has created a Republican Party that is racially exclusive, as opposed to one that is multicultural and racially inclusive. The Tea Party, with its ethos of white populism, Birtherism, and racial animus towards the country’s first Black President (and people of color more generally) is emblematic of an even bigger challenge for the Republicans—they are looking to a fictive past for inspiration, what were the “good old days” when the colored folk, the gays, and the women all knew their places. This is an America that never truly was. However, it is a true lie and dreamworld that is central to the Right-wing political imagination. Obama’s family photo is quite different. His family consists of folks from different racial backgrounds, and united inter-generationally across the lines of ethnicity, culture, and nation. The diversity of Barack Obama’s family is the stuff of fear and anxiety for the Right. If conservatism (as a political and social ideology) is dedicated to protecting “tradition” in the face of change, Obama’s family photo is an embodiment of a type of cosmopolitanism and forward thinking, that for decades, the Right-wing in America has been standing firmly against. The United States is increasingly Balkanized along lines of political ideology and life style. As Bill Bishop details in his book The Big Sort, liberals and conservatives do not live in the same neighborhoods, consume the same media, travel in the same social networks, and are increasingly tied to communities which are divergent and apart from one another both in terms of political attitudes, as well as beliefs about basic matters of empirical reality. The rich also live an existence that is fundamentally divergent from that experienced by the middle and working classes. During the Great Recession for example, the most affluent Americans saw their wealth and income skyrocket while the rest of the country was financially decimated. In ways that are unprecedented in American history, the rich increasingly do not attend the same schools as the average American, live in protected enclaves and gated communities (sometimes in major cities with their own “private” zip codes and “secure” buildings), and have constructed a parallel support system of exclusive hospitals, as well as private police and fire departments. The sum effect of these changes is that the rich in the time of the Great Recession are increasingly distant from a basic social compact that used to tie all Americans together. And of course, one of the most enduring dividing lines in American society remains that of race: almost fifty years after Brown vs. Board of Education, black and brown children still go to racially segregated schools; America’s neighborhoods remain divided by race and class. 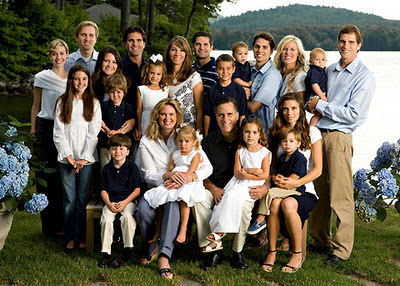 Mitt Romney's whiteness is a perfect embodiment of these broader social dynamics. However, we need to be careful with these types of analyses because there is a tendency to homogenize and flatten away all of the different experiences that stand behind what it means to be white in America. There are many different types of white folks. There were white “race traitors” who fought and died in the Black Freedom Struggle. There were white brothers and sisters who quietly worked to integrate their workplaces, schools, churches, and neighborhoods. There are rich white people. There are poor white people. There is the white working and middle class. There are straight, gay, transgendered, bisexual, heterosexual, and polyamorous white people too. Some white folks struggle with issues of physical ability and difference. There are white people who acted like rank bigots, throwing rocks at black kids who wanted to just go to school, or alternatively sat by the lynching tree and enjoyed a picnic while black Americans were burned alive and tortured. There are white folks who listen to Rush Limbaugh and other right-wing bloviators, who are worked up into a political priapism, as they are told on a near daily basis to hate those black and brown folks that are destroying America. There are others who reject reactionary white conservatism and see it for the social evil that it truly is. Ultimately, most white people, like members of any other group, are just free riders who want to stay out of the way of history. Whites, just like Black and Brown folks, are mostly average, with a few exceptional people thrown into the mix. Mitt Romney’s identity as a white man, and by implication his relationship to whiteness, is a function of a very particular type of racial and class privilege. While it is easy to point at Romney, and fall into the lazy trap of only focusing on the fact that he is amazingly wealthy and that class must, by definition, trump race, those two attributes are inexorably tied together in the United States. Social science data overwhelmingly demonstrates that to be white in America makes one significantly more likely to be rich. Moreover, white people have at least 20 times the wealth of blacks; poor whites have more wealth than middle and upper class African Americans; people of color are significantly more likely to be unemployed, and for a longer period of time, than white Americans during the Great Recession. During the Republican primaries Mitt Romney casually joked about making a 10,000 dollar bet with his rivals—as though we all walk around with that much money in our pockets. He has suggested that young people should just borrow thousands of dollars from their parents and start a business so that they too can be successful in America like him—what to do when many young people are actually supporting their aged parents and other relatives? Mitt Romney has elevators for his cars. His wife receives a tax deduction for her stable of performing horses that is larger than most Americans earn in a year. As measured by these criteria, Mitt Romney has lived a particularly “white” life. Consider the following for a moment: a 2011 survey by The National Bureau of Economic Research revealed that half of Americans could not come up with 2,000 dollars in order to deal with a routine emergency such as a sick pet, personal injury, loss of a job, or a broken car. If I had a chance to ask Mitt Romney one question, it would be about regular folks such as them. How will Mitt Romney lead an increasingly diverse America, one that is quite different from the particularly and uniquely white world in which he has lived his whole life? Can Mitt Romney relate to the struggles of all Americans across the lines of class and race? $2000.00 for a sick pet? Well more than half the planet ain't have $2000.00 for dealing with a sick family member. @Cnu. For many of us pets equal family. But yes, that was considered within the realm of an emergency. The scary thing is that most folks couldn't come up with it. We are living on quite literally borrowed time. For many of us pets equal family. It is an astonishing thing to live in a country where on average we waste 12,000 kilowatt hours per capita per annum, waste 70% of the food produced, where the "poor" suffer epidemic obesity, and where epidemic disease outbreak is virtually unheard of. We are living on quite literally borrowed time. I wonder how we poor benighted 2nd/3rd class Americans chart out on the Global Footprint Network's Footprint for Nations statistics? I, on the other hand, do not care one bit if Barack Obama is a black man. Why? Because his racial background means little in the context of the many challenges facing America in the time of the Great Recession. However, this does not mean that Barack Obama’s particular type of blackness is unimportant to either his political worldview or his chances of remaining President of the United States. Barack Obama’s identity as a rich, black, heterosexual man is integral to his political brand. It also explains much of his appeal for conservative voters. This is especially crucial given that since the 1960s, the Democratic party has effectively become a moderate conservative party. This in spite of the facts that the people it supposedly represents consists of women, people of color, younger voters, the college educated “creative” and professional classes, as well as the working classes and poor. Barack Obama’s identity as a black man, and by implication his relationship to blackness, is a function of a very particular type of racial and class privilege. Can Obama relate to the struggles of black Americans who are not rich? So far he has demonstrated no such capacity. What's even funnier still, is that the race bedazzled contemporary urban negroe is no more capable of discerning his bent-over and psychologically owned political posture, than the rustic rural caucasian beholden to conservatism as identity politics. oh yeah, this ain't no "great recession" either. You're all in the middle of the Greatest Economic Depression in recorded human history. @Nomad. You make me cry. I am going to pull your positronic converters. My family also mirrors the wonderful mix that the Democratic Party appeals to. My brothers wife is black as is my girlfriend. My first wife and I adopted a black infant and two first cousins are married to wonderful Moslem men. As my wife and I raised our son we encountered the truth about white privilege and institutional racism. We still live in a nation where race matters and blacks are subjected to a daily stream of indignities that no white person would tolerate. CNu....trust me, there is not a black person over the age of 15 who is not painfully aware of the second class nature of their existence. It is no accident that the Democratic Party has the support of a rediculously high percentage of blacks. It is not because this predominately white party caters to black needs but because the Republican Party is the embodiment of our racist identity and not afraid to express this racism (often coded) continuously. Shared Humanity, I don't trust you. I'm well over the age of 15 and don't accept any 2nd class nature of anything - and I never have. If you're not an apex predator, then perhaps it's merely your rightful destiny to serve as prey? This great writing, it cuts right to the bone of race relations in modern America. Everything you wrote rings true, as Bob Dylan said. More people should be reading this and talking with their friends and family members about these ideas. I have read that as many as 90% of Americans already know for whom they'll be voting in November. The split of that ninety percent is really close, some days one way, and some days the other. Our collective problem is to reach that ten percent and sell them President Obama's ideas and dreams for America. "Our collective problem is to reach that ten percent and sell them President Obama's ideas and dreams for America." Tragic that this is even necessary. Leaving aside for the moment that Barama dreams of a police state with no social safety net, can you imagine the excess of enthusiasm Barama supporters and those on the fence would have if he had actually turned out to be the Barama of our dreams? If he had done just one of the major things he promised during his campaign. Healthcare for example, instead of selling out to the insurance company. If he had just fought for real healthcare, even if he didn't succeed, his approval rating would be exponentially greater than it is now. His reelection would not be in doubt. As it is I'm less than lukewarm. I might get out to vote for Obama. If it don't rain. If its not cloudy. Or if I'm not busy. "I'm black and I'll vote for Romney when he offers me 40 acres and a dressage horse."